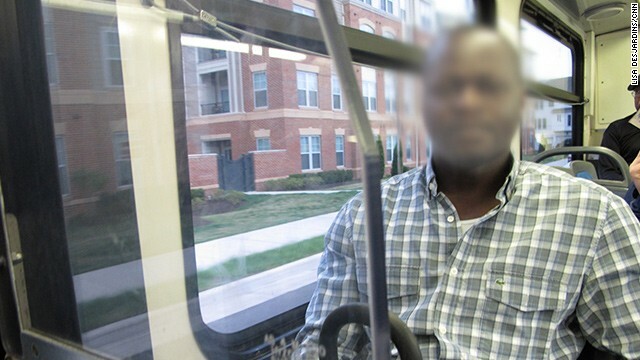 Hamidou, an undocumented immigrant from Mali who overstayed his Visa, takes the bus to work. Alexandria, Virginia (CNN) - Hamidou, who we are identifying only by his first name, never goes inside his bank. He deposits his pay outside at the ATM. He also does not drive. And he definitely does not go to bars or any place there is a crowd. [3:17] "I’m...basically waiting for the new immigration reform, I’m hoping that will be a good thing for me. Be able to be a citizen or have a legal status in this country. All over the world, wherever you go, people envy, people envy Americans. They want to be in the United States." [2:00] "You can’t even have an argument with somebody because you’re afraid; you know cops can come and ask your ID...so I'm trying to be away from anything that can lead me to problems."